Too cool… Nice shirt wonder where I can get one? This entry was posted in Bill Danforth, Jim Murphy and tagged Bill Danforth, Jason oliva, Jim Murphy, THOS t shirt on July 30, 2010 by jasonoliva. 562: The House of Steam shop presents LandShark Wheels: Mike Vallely, Raybourn, Danforth, Svitak and the evolution of a skate shop decision. Back in 2009 I was sent a vid of Romona from [En-Jay] Chris at S-one, that is when I saw Ben Raybourn huck a padless McTwist and was gobsmacked. Soon after I discovered LandShark wheels via another video of Ben killing it in the Bondai Bowl, san’s pads once again. I thought if you are gonna skate that aggressively with nothing to protect yourself but your wheels your gonna only ride good wheels. 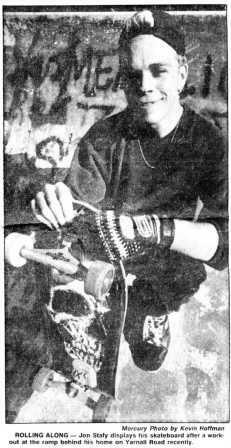 Then I discovered a video of Kristian Svitak skating while I was searching for a Damned song and got drawn in further. 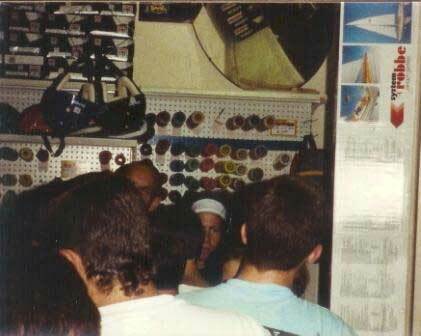 This all got my DIY Ethos Brain thinking and I suddenly wanted a shop that offered any choice of wheel as long as that choice was Landshark! So here is this new indy wheel company with these aggressive skaters, a great wheel that has a no flat spot guarantee with a name and a logo based on a bad tattoo decision by founder Kristian Svitak and the band FANG…what more could push one over the edge to the realisation that this could be the the greatest wheel company of all time…..then Mike Vallely and Bill Danforth decided to ride for them! That was it for me…. an email to Mike and a bit of back n forth and there you go….LandShark in THOS Shop and for all the reasons above I would be hard pressed to add another wheel. Raybourn’s Pad less McTwist, catch a glimpse of Tag’s Frontside invert over the channel right afterwards too. Bad Tattoos make great Company names and logos…. FANG! Yeah I probably should have put up the LandShark song but this video is too badass to leave out. So I put my money where my mouth is and THOS Shop is in too…. As you may surmise I am having a blast setting up and slowly building this shop, everyone is excited that it is growing via the community we have created and that it is supporting some old school values. Now that we are all burdened by the internet and its unlimited choices it feels cool to have a place that only offers ‘One’ Choice….the obvious one! Mike V Photo by Mark Choiniere. 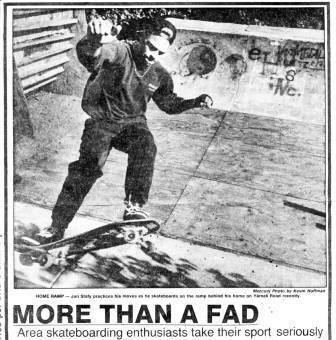 This entry was posted in 2010, Ben Raybourn, Bill Danforth, Mike Vallely, Photos by Mark Choiniere and tagged 1031, ART, backyard ramps, ben raybourn, Bill Danforth, boards, diy, east coast, fand the band, Fang, fang nirvana, house of steam, independent, jason, Jason oliva, jasonoliva, kristian Svitak, landshark, landshark fang, landshark wheels, Mike Vallely, New Jersey, New York City, nirvana, old school, old school skateboarders, oliva, paintings, photography, pool Skating, ramp, ride, sk8, sk8t, skate, skate decks, skate history, skate photography, Skate ramps, skate stickers, skate trucks, skate wheels, skateboarding, skateboarding history, skateboarding photography, skateboarding podcast, skateboards, skatepark, skater, SKATERS, steam, Stickers, Street Skating, TEAM STEAM, The Barn, The House of Steam, the house of steam shop, the house of steam video podcast, the money will roll right in, thos, thos shop, those, those shop, those video podcast, underground, underground skateboards, vert, vert ramps, Vert Skating on April 8, 2010 by jasonoliva. Well I dislocated my shoulder wearing full pads on a miniramp….Killing it in a giant pool in Australia without pads…not even a long sleeve T-shirt would have made for a better story. Not sure if Ben dislocated his shoulder but it looked painful…Skating has become so fricken gnarley, looks like Ben can teach a seminar on frontside smiths as well…too cool. 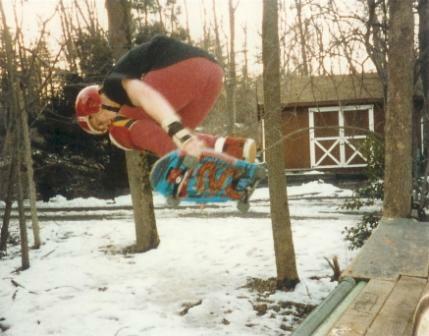 I remember when skating a ramp in the middle of winter with snow on the ground was considered gnarley….Whole new level these days. Great stuff, killer vid, killer sound. This entry was posted in Ben Raybourn, Bill Danforth, Mike Vallely and tagged ART, backyard ramps, ben raybourn, boards, east coast, house of steam, jason, Jason oliva, jasonoliva, land shark wheels, New Jersey, New York City, oliva, paintings, photography, pool Skating, ramp, ride, sk8, sk8t, skate, skate decks, skate history, skate photography, Skate ramps, skate trucks, skate wheels, skateboarding, skateboarding history, skateboarding photography, skateboards, skatepark, skater, SKATERS, steam, Street Skating, TEAM STEAM, The Barn, The House of Steam, thos, vert, vert ramps, Vert Skating on January 30, 2010 by jasonoliva. 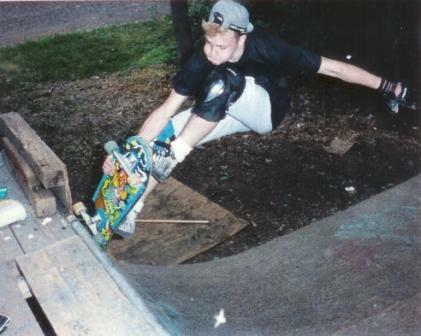 Twenty years ago we built a ramp deep in the woods at my home in Pottstown Pa. The smoothest.. it was not. The biggest.. it was not. The most fun.. It was! The memories we have from that ramp will last a lifetime. Times like those are not manufactured, they just happen. Enjoyment was the name of the game, not profit or fortune. 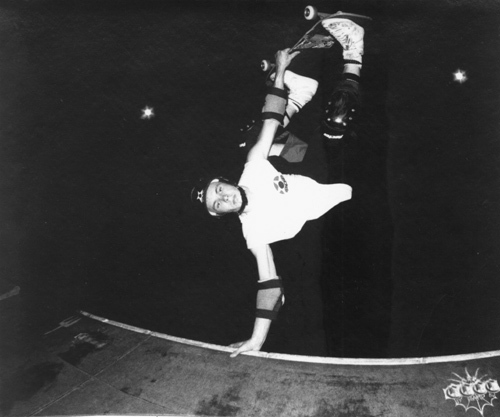 Watching guys like Tom Groholski skate on a local level was truly inspiring. Tom was our local hero. Watching him crail slide in that nasty pool in Reading was scary. The House of Steam delivers! 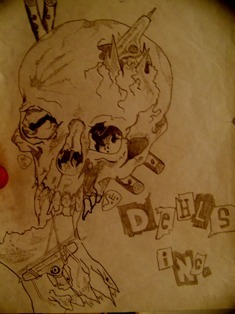 I would like to thank Jason Oliva for immortalizing DeHLs Inc. It stands for Defransisco, Egolf, Hare, Lawhorne and Stafy. 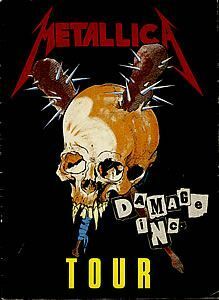 We ripped it off from Metallica”s Damage inc. Complete with copied skull drawing with a truck in the skull and broken deck dangling from the bottom. 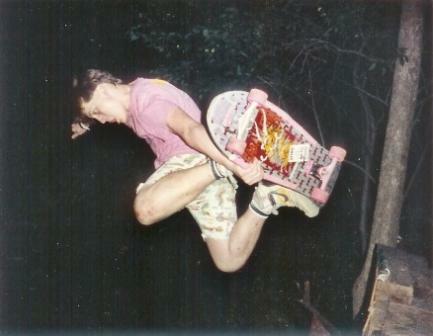 We all built that ramp with “acquired” plywood, scrap lumber and weekend work money, carpenters (we had the smashed thumbs to prove it) we were not, but skaters we were. Hopefully Jason will do our photos justice, and although we never knew of Team Steam we had a very similar scene in Pa. sporting the same mismatched pads, loud music and love of skating. The Dehls crew rule! Jake, John and others have been a huge part of The House of Steam Community from day one. Its a pleasure to have you guys post all your memories here into the archive….that’s what its here for. Let me know about names and places in the pics and I will get it all sorted out. Ill add more of your pics to the post soon. 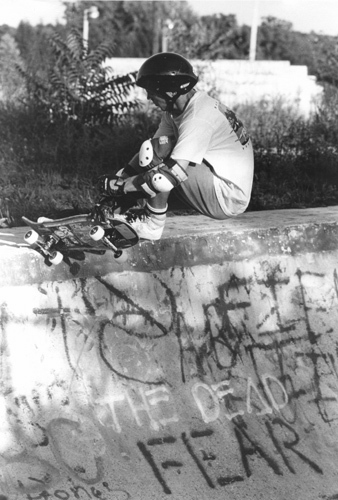 This entry was posted in Bill Danforth, Jim Murphy, Reading Skate park, SPOTS:, The Kink Sink, Tom Groholski and tagged ART, backyard ramps, boards, east coast, house of steam, jason, Jason oliva, jasonoliva, New Jersey, New York City, oliva, paintings, photography, pool Skating, ramp, ride, sk8, sk8t, skate, skate decks, skate history, skate photography, Skate ramps, skate trucks, skate wheels, skateboarding, skateboarding history, skateboarding photography, skateboards, skatepark, skater, SKATERS, steam, Street Skating, TEAM STEAM, The Barn, The House of Steam, thos, vert, vert ramps, Vert Skating on August 9, 2007 by jasonoliva. This entry was posted in Bill Danforth, Craig Johnson, Dan Wilkes, Jeff Phillips, Jim Murphy, Ken Fillion, Tom Groholski and tagged ART, backyard ramps, Bill Danforth, boards, Craig Johnson, Dan Wilkes, east coast, house of steam, jason, Jason oliva, jasonoliva, Jeff Phillips, Jim Murphy, Ken Fillion, New Jersey, New York City, oliva, paintings, photography, pool Skating, Pro Ramp Skating in Texas: John “TEX” Gibson, ramp, ride, sk8, sk8t, skate, skate decks, skate history, skate photography, Skate ramps, skate trucks, skate wheels, skateboarding, skateboarding history, skateboarding photography, skateboards, skatepark, skater, SKATERS, steam, Steve “SALBA” Alba, Street Skating, TEAM STEAM, The Barn, The House of Steam, thos, Tom Groholski, vert, vert ramps, Vert Skating on August 2, 2007 by jasonoliva. This entry was posted in Bill Danforth, Craig Johnson, Dan Wilkes, Jeff Phillips, Jim Murphy, John "Tex" Gibson, Ken Fillion, Salba, Steve Alba, TEAM STEAM, Tom Groholski and tagged ART, backyard ramps, Bill Danforth, boards, Craig Johnson, Dan Wilkes, east coast, house of steam, jason, Jason oliva, jasonoliva, Jeff Phillips, Jim Murphy, John "Tex" Gibson, Ken Fillion, New Jersey, New York City, oliva, paintings, photography, pool Skating, ramp, ride, sk8, sk8t, skate, skate decks, skate history, skate photography, Skate ramps, skate trucks, skate wheels, skateboarding, skateboarding history, skateboarding photography, skateboards, skatepark, skater, SKATERS, steam, Steve "SALBA" Alba, Street Skating, TEAM STEAM, The Barn, The House of Steam, thos, Tom Groholski, vert, vert ramps, Vert Skating on August 2, 2007 by jasonoliva.